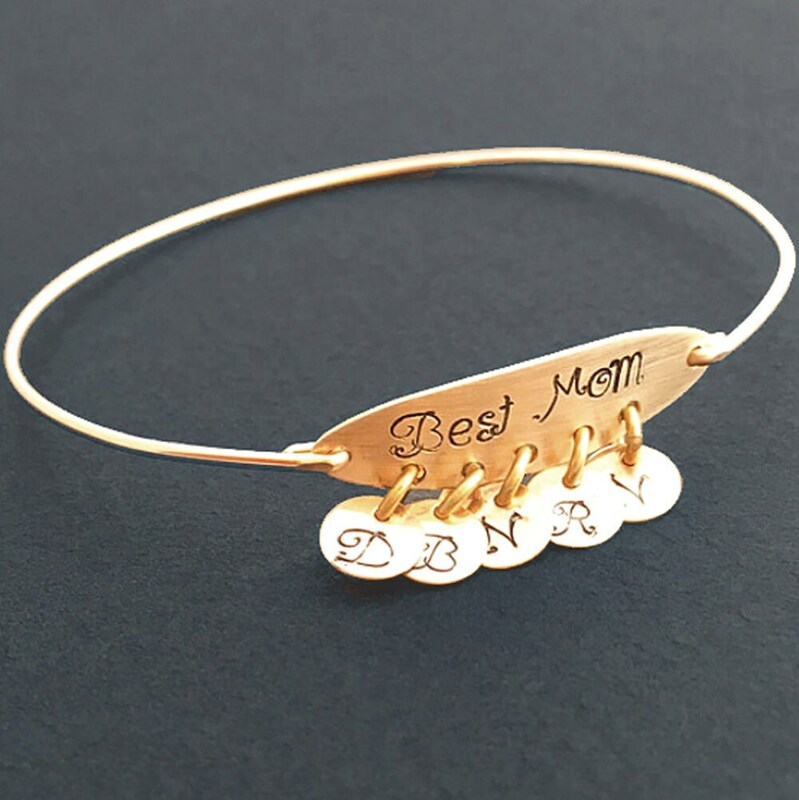 This personalized mom bracelet makes the perfect birthday gift for mom with children's initials. 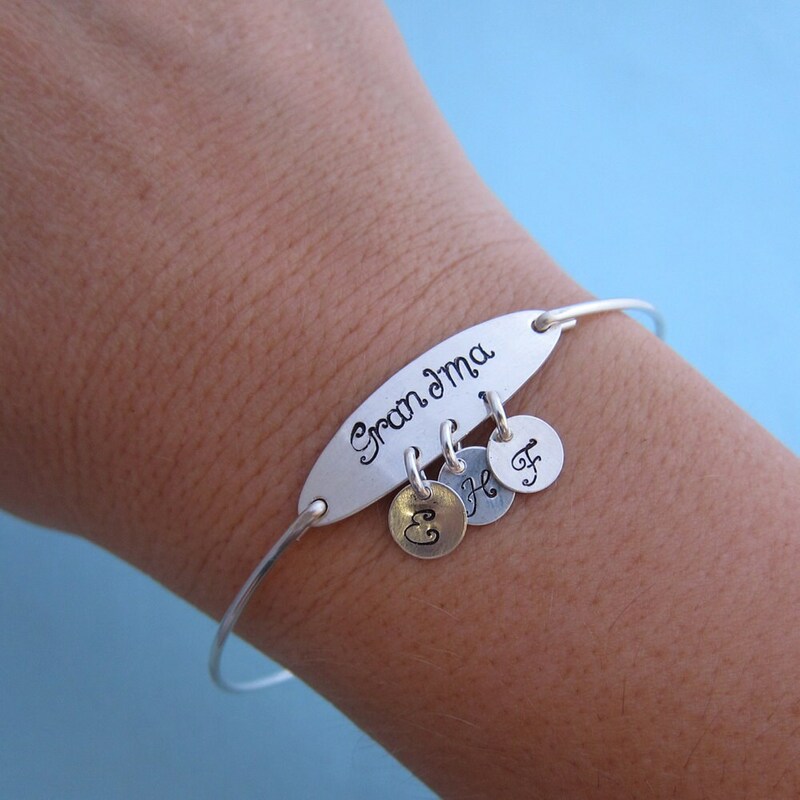 And this bracelet also makes a wonderful birthday gift for grandma with grandkid's initials. Choose from 1 to 7 initial charms for this personalized mom jewelry. 14k gold filled bangle band paired with brass oval and 14k gold filled initial charms. Sterling silver bangle band, sterling silver oval, sterling silver initial charms. It's very easy to pick a size without measuring. I have a WIDE RANGE of sizes including "IN-BETWEEN" sizes to make it easy to pick a size to gift or for yourself without a measurement. See main sizes below and descriptions of hand size. If you see a size & description that sounds like it's a good match, it's probably going to be a great fit. If you are caught between main sizes, see in-between sizes below in sizing tip #2. If caught between two main sizes above, find the "in-between size" below, and it should be a great fit. If still unable to pick between two main sizes, for example, you think the wearer might be Small 8 inch or Medium 8.5 inch... Ask yourself which of these two sizes is most likely correct? then go with the larger of the two main sizes, in this case Medium 8.5 inch, skipping over the in-between size, and it should fit great. If you can't decide between a MAIN SIZE and an IN-BETWEEN SIZE, go with the larger of the two sizes you are considering, and it should fit great. If the bracelet is needed for an event such as a wedding, and there would be no time to resize before the event, and you are unsure which size to pick, then select a "half size"
size of 8.75 inch, and it should be fine. A half size (or 1/4 inch) above true size is still very close to true size, and will be fine. mother of the bride or groom. A little above size can still be worn. 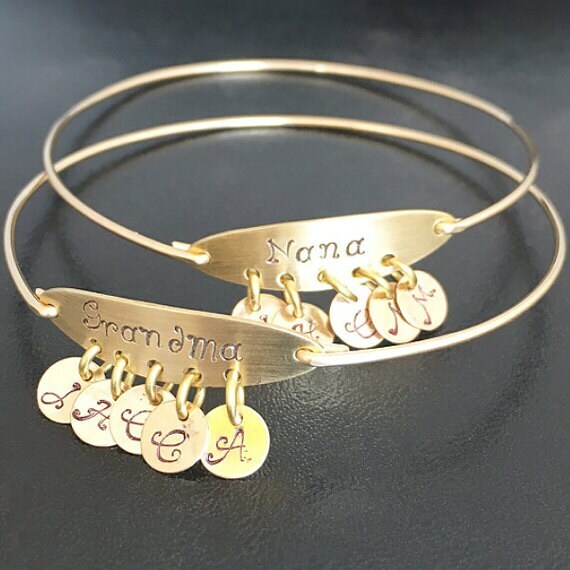 This bracelet for mom or for grandma created and hand crafted with great care and love. All of my items including this mothers bracelet are special handmade creations that are based on original Frosted Willow designs & concepts. I hope you love this bracelet makes the perfect Mother's Day gift, Christmas gift, or birthday gift.